When applying for a car loan, your credit score is a factor that contributes to whether you get approved or denied. It’s no secret, that the higher your credit score, the better chance you have at approval and of a better interest rate. But what happens if you don’t have great credit? The Acura Financial Services team at Fresno Acura has some suggestions on how to raise your credit score. Beyond a bigger issue like identity theft, mistakes do happen and can impact your credit score. Make sure your reports are as factual as possible by obtaining one from all three major credit bureaus: Experian, Equifax, and TransUnion. The Fair Credit Reporting Act entitles you one free copy a year that you can access at AnnualCreditReport.com. Attack your debts with a repayment plan that includes tackling debts in collections, eliminating small balances on cards, and working to pay down larger debts. Your debt to credit ratio: How much available credit you have vs. how much you have actually charged. Ideally, you want to keep your credit card charges under 30% of the available balance every month. Number of cards with balances: The more cards with balances, the lower your score. Your credit score could also be low because you simply have never had a loan or credit card and your credit history is limited. Opening a card near Madera can help establish credit, as long as you keep under the 30% balance and pay your bill on time every month. A simple way to improve your credit score is to pick one recurring monthly charge and have it paid with your credit card, making sure you set the money aside to pay the balance off when the bill arrives. If you don’t qualify for a regular credit card, consider a secured credit card. This type of card has a small limit and usually requires an initial deposit of up to a couple hundred dollars to open. While we discussed a new card or loan as one of the ways to improve your credit score, you will want to be careful in applying for new cards or loans. When lenders do a hard inquiry of your credit, that can end up impacting your score for up to a year. Your credit score is built over time. If you are starting today, one way to improve or add to your history is to become a user on a family member’s account. As long as they have paid their bills on time that will begin to reflect well on you. Just make sure both parties have a clear agreement on who actually gets to use this line of credit and how payments will be handled. Want more tips on how to improve your credit score, or do you want to learn more about the automotive financing process? 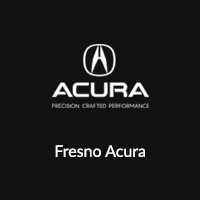 Contact the Fresno Acura finance center or visit us in Fresno.